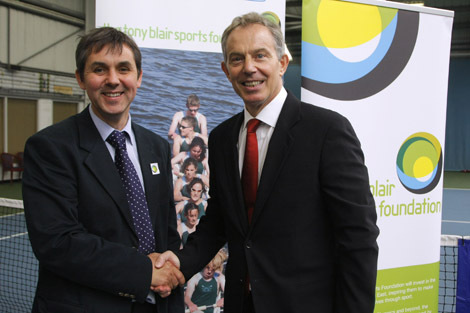 M.D Mike Barker and Tony Blair at the Tony Blair Sports Foundation Reception. We are delighted to be involved with the Tony Blair Sports Foundation. The Tony Blair Sports Foundation will invest in local people, inspiring them to make the most of themselves through sport. Starting in the North East as part of Tony Blairs personal commitment to the area, he represented as an MP for 24 years, we hope the charity will provide a usefull model that can be taken up elsewhere in the UK. In the run up to the 2012 Olympics and beyond, the foundation will increase participation in sport by young people, particularly those who are currently socially excluded. Sport is a fantastic way of boosting childrens self confidence and esteem and the foundation will ensure that it is inclusive and more importantly fun.